About 32 million more Americans will become obese by 2030, upping obesity rates to 42 percent of the U.S. population, according to a new report from the U.S. Centers for Disease Control and Prevention. The report also predicts that the proportion of Americans who are severely obese, meaning more than 100 pounds overweight, will reach 11 percent, about double the current rate. The report's authors give a sobering price tag for these predictions: such an increase would create $550 billion of obesity-related health care costs. Eric Finkelstein, one of the authors of the report, said the prospect of such increasing rates, particularly those of severely obese Americans, is alarming since efforts aimed at helping people lose weight have so far proven relatively ineffective. "Their weight continues to increase. Over the last 10 years, it has gone up tremendously," he said in a press conference. "This is a group at great risk of health complications, and yet they are increasing at an even greater rate than the rate of obesity." The report was published in the American Journal of Preventive Medicine and was released at the CDC's Weight of the Nation conference today, a gathering focused on the impact of the obesity epidemic. The authors analyzed data collected from each state and made projections based on a number of factors influencing obesity rates, including the cost of healthy and unhealthy foods, gas prices and Internet access. "Predicting obesity is tricky and no one variable showed up as causing obesity," Finkelstein said. Although recent data suggest that rates of obesity have reached a plateau, current rates of obesity are still alarmingly high. About 34 percent of adults are currently obese, creating a whole host of expensive, chronic health problems, such as cardiovascular disease and diabetes. 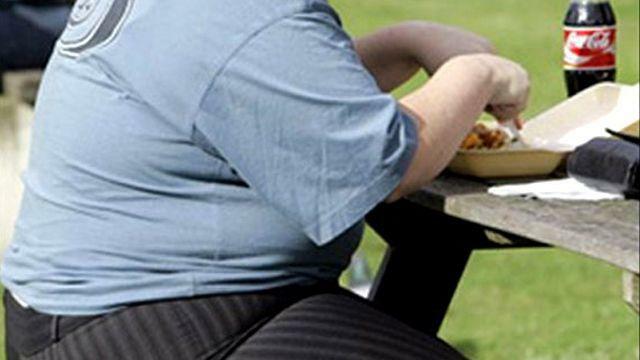 The report's authors said a number of factors could lead to the predicted rise in obesity. About two-thirds of Americans are currently overweight and could continue to gain weight and move into the obese category. Dr. William Dietz, one of the study's authors and director of the CDC's division of Nutrition, Physical Activity and Obesity, also noted that children who are currently overweight or obese will likely be a major source of the increasing rates. "We know that about 50 percent of severe obesity in adults is consequence of obesity in childhood," he said. Currently about 17 percent of children and adolescents are obese. Anti-obesity measures such as better urban design, access to recreational facilities, workplace health promotion and new drugs could help reign in the problem, the authors noted.